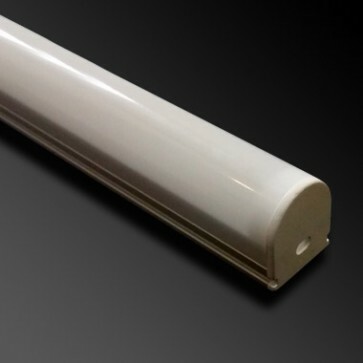 This is our round top profile aluminium channel for use with our LED flexible strip up to 16mm wide and looks like a fluorescent tube when illuminated - ideal for retail display LED lighing. The LED strip can be stuck into the base of the channel (with the self-adhesive tape supplied with the LEDs), frosted cover snapped into place and then the unit can be wired into a suitable power supply. 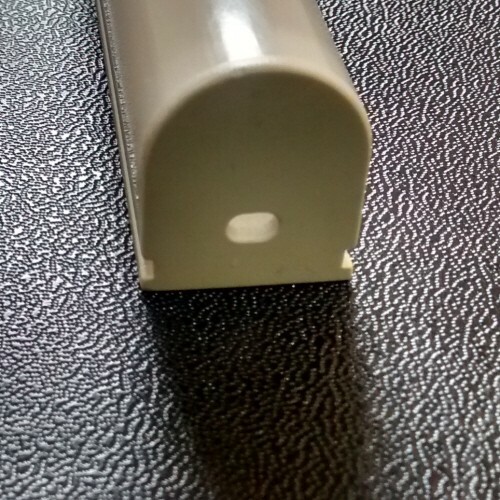 The end caps have a small hole to allow the connection cable to exit but it is also possible to drill through the channel to wire in the cable from the rear. 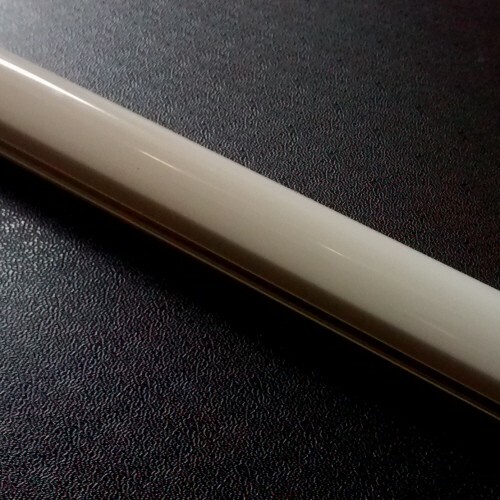 Please note, when mounting the LED flexible strip into the channel it is advised to check whether the LED is the correct length - for example a 100cm aluminium channel will not accommodate a 100cm LED strip with the end caps due to the cable and a 95cm or 90cm length would be advised. We have these adjusted lengths of LED available on the website, if the length required is not there, please email or call and we will happily supply this. If using our LED flexible strip, it is also possible to shorten the LED by cutting at the appropriate cut-point if already purchased. This is our round top profile aluminium and is 25mm high and 21mm wide, there are also large and small corner and slim and tall profiles too, please take a look if this product is not quite suitable for your requirements.